Buy tickets for Les Ballets Trockadero tickets and Ukrainian Shumka Dancers’ Nutcracker before they are released to the public. Buy additional tickets at a discounted price to any show throughout the season. Receive 10% off any 2019/20 Victoria Symphony concert when you call or visit the Box Office. Receive three issues of our Footnotes newsletter. Exchange tickets in-person for any any performance for free. Request reprints of misplaced tickets at no extra charge. Single Ticket Prices: for all performances excluding Ukrainian Shumka Dancers’ Nutcracker and Les Ballets Trockadero de Monte Carlo. * While you can buy Nutcracker tickets at a discounted price, you can’t redeem any of your four Flex Pass tickets for Nutcracker tickets. You can get a deeply discounted subscription with a Night Moves Membership for 156 dollars, or only 189 dollars in A-category seating – that’s 60 dollars off the regular A-category subscription. PLUS, you’ll be invited to exclusive after-parties. Meet and mingle with the dancers and company, sample specialty cocktails, and dance to the live mix by a talented DJ. If you’re not ready to commit to a Membership for the year, Night Moves tickets are available for individual shows: Aspen Santa Fe Ballet (Nov 16), Kidd Pivot (Feb 8), Ballet BC (Mar 14), Tania Perez-Salas Compania de Danza (May 2). * Dance Duo packages for the 2019/20 season are available starting Sep 3, 2019. ** Single tickets for the 2019/20 season are available to non-subscribers starting Sep 3, 2019. 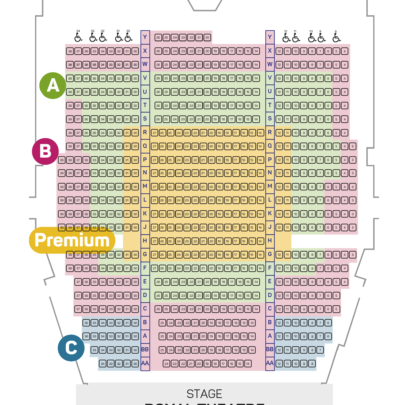 * These seats are not available in a subscription package and are not available for Nutcracker. “Like” Dance Victoria’s Facebook page to stay in touch with Pay Your Age & other DV announcements! All Main Stage performances are at the Royal Theatre, 805 Broughton Street, Victoria, BC V8W 1E5 (located on the corner of Blanshard Street and Broughton Street). 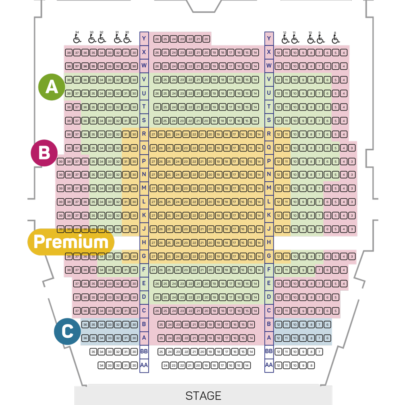 For an overview of Les Ballets Trockadero de Monte Carlo seating plan at Royal Theatre, click here.